1. In today’s world we are largely deskbound, consuming packaged, processed foods, living with chronic stress, and not getting enough sleep – all of which can make us sick, fat and depressed. To achieve optimal health, the Paleo lifestyle draws it’s core principles from our ancestors who ate whole, unprocessed foods, moved more, slept better and stressed less. 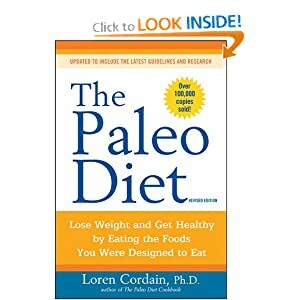 It’s not about re-enacting the Paleolethic era – in fact most in the Paleo community hate the term ‘Caveman diet’ – but rather recognising our genetic predisposition and applying current knowledge of how different foods and activities affect our body’s functions like metabolism, digestion, insulin sensitivity, and systemic inflammation. 2. We do not run with spears, cook on fire or go foraging in the forest. Sure, I love fishing and berry picking but I get most of my food from fresh food markets, supermarkets, butchers, fishmongers, health food stores and online suppliers. My hunting and gathering goes as far as my backyard where I grow some herbs, lettuce and chilli. 3. We focus on eating whole, unprocessed foods like grass-fed meat, free range poultry, wild fish, vegetables (including root vegetables,) fruit, berries, some nuts and seeds. We avoid grains, legumes, refined sugars and dairy; although dairy consumption really depends on your gut health and whether you have any auto-immunity issues. So, without going into too much detail, we avoid all these foods to control insulin sensitivity, repair gut health, increase nutrient absorption and reduce negative inflammatory effects they cause. ← What Food Can I Eat On The Paleo Diet?